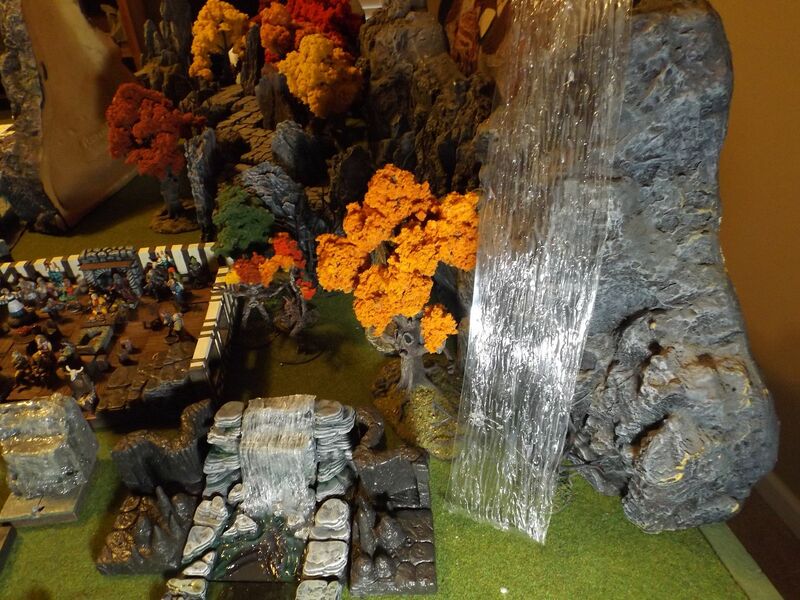 The waterfall on the right was made from a sheet of clear packing plastic and hot glue. To make it look like DF lava paint it in reds, oranges and yellows. DM Scotty has several videos on how to skulp textures with hot glue. Thanks, hopefully I'll be feeling unsick and willing to go outside by the weekend to try grabbing some finger paint to test that out. If I do I'll post pictures of the resulting paint job. Try painting one with washable finger paint leave it a few days and then wash it off. If it works your good, if not then you are out only one. Food for thought since my budget is limited and storage space is at a premium now. For something more quick & dirty, you could spray paint some cotton red & black, or wad up some red cellophane. Playing with some negative space builds today and realizing I need a lava waterfall. Does anyone know a good way to deal with it? Need a nice way to transition between elevations.